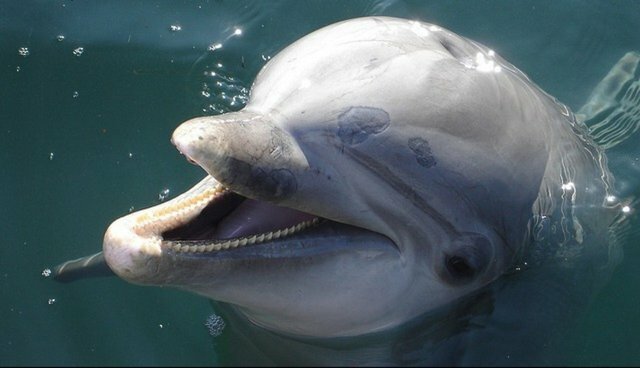 A 13-year-old boy sounded the alarm that saved 19 beached dolphins when he spotted the group stuck in the shallows on a Scottish island. Finlay Meakin, on vacation with his family, called for help and his mother and uncle sprang to get the animals back into the water. For the next two hours, they successfully moved all the dolphins, using their suitcase luggage straps to aid lifting the heavier animals. This story is a testament to the lengths that people will go to help struggling animals, but it's important to note that there are guidelines for what to do when you come across a stranded marine mammal. According to Whale and Dolphin Conservation (WDC), the most important thing is to enlist an expert's help. Marine animals may carry diseases or cause injuries to rescuers by thrashing around, so approaching them always poses a risk. This story has a happy ending -- after the ordeal, the animals swam to deeper water, apparently unharmed -- all thanks to the vacationers' quick-thinking luggage tactic.